At least four people have been killed due to flooding across the northern regions of Iran since Friday night, according to Mazandaran medical emergency center. Over the past 12 hours, the northern provinces of Mazandaran and Gilan were hit by heavy raining and the people in northwestern Ardabil province are witnessing the first snowfall. One person reported to have been killed by lightning strike in Sari and a taxi driver died in Chaloos after mistakenly went into the floods and drowned under the water and 2 other people died in the floods in Mazandaran. 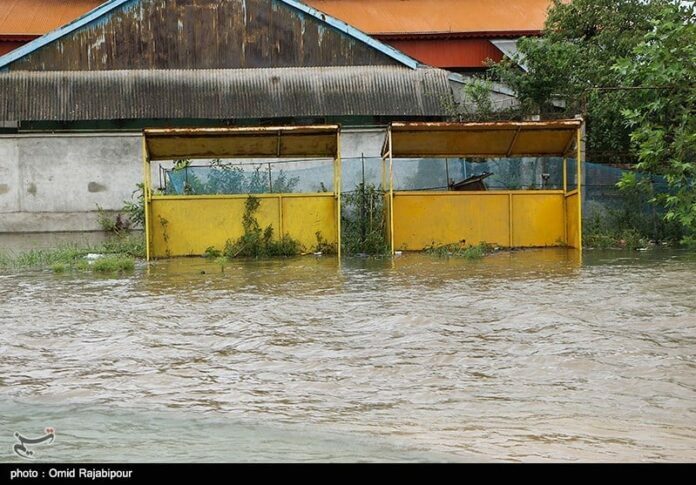 Authorities said that heavy rainfall caused floodings in the residential areas in different parts of Mazandaran province and some houses were damaged in cities of Amol and Babol. Other news also indicated that electricity has been cut in central and eastern regions of Mazandaran province. Cellphone communication networks were also interrupted in some parts of Ramsar in northern Iran and telephone lines are disconnected in most parts of city.